Basics don’t have to be boring. Case in point? Everything that I’m wearing. This is how I put them all together to make one awesome outfit! Continue reading"Back To Basics: Turtleneck Sweater & Utility Jacket"
Nothing adds ‘pep’ to a bland outfit quite like a pink jacket does. 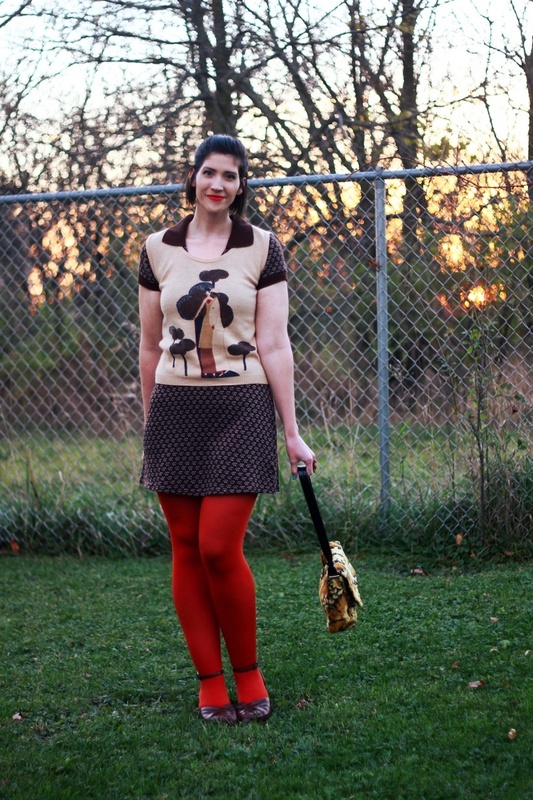 Just look at what it did for this outfit! Continue reading"Taking A Fashion Risk in a Pepto Pink Jacket"
With all that’s happening in the world right now, let’s just focus on cute shoes, shall we? Continue reading"Cute Shoes To Be Thankful For This Season"
Who’s in the mood for a crafty fashion post? You’re in luck! 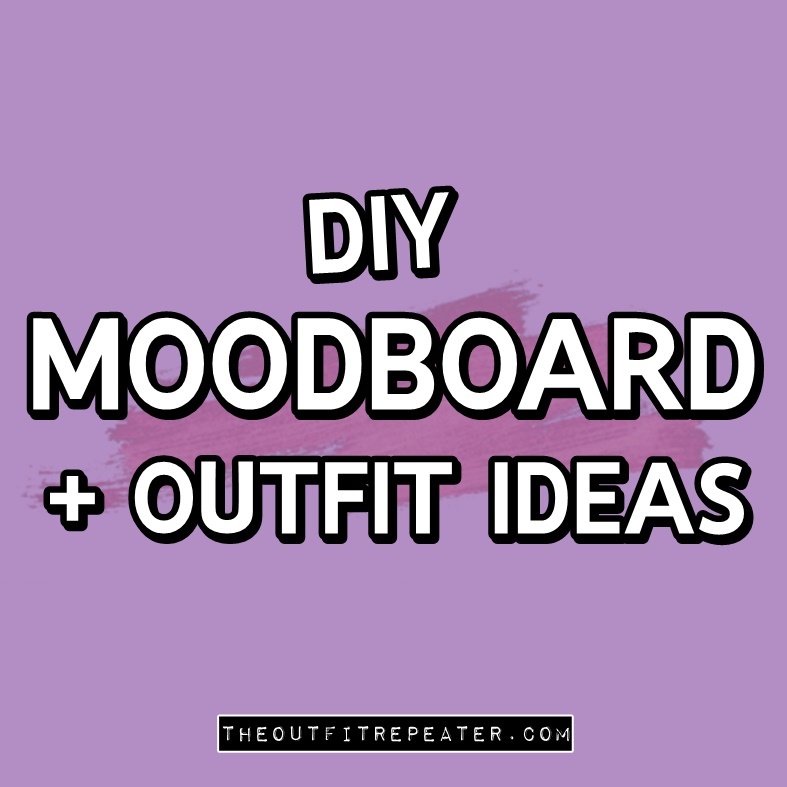 Here’s the what, why, and how of using a fashion mood board. 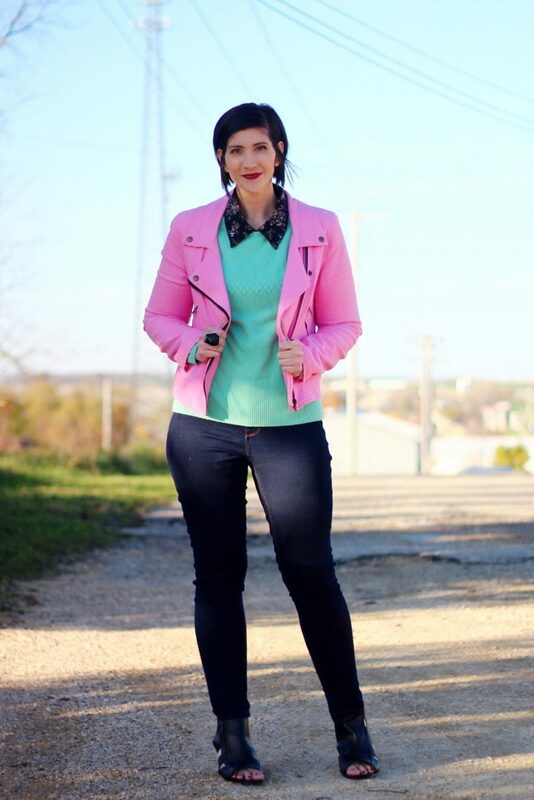 Continue reading"How To Use A Fashion Mood Board + Outfit Ideas"
This sweater vest’s so nice, I had to wear it twice! Continue reading"A Fun Way To Wear a Vintage Sweater Vest"
First time voter, long time sequin wearer. Here’s how I pulled off wearing the shiniest blazer ever at a polling booth. 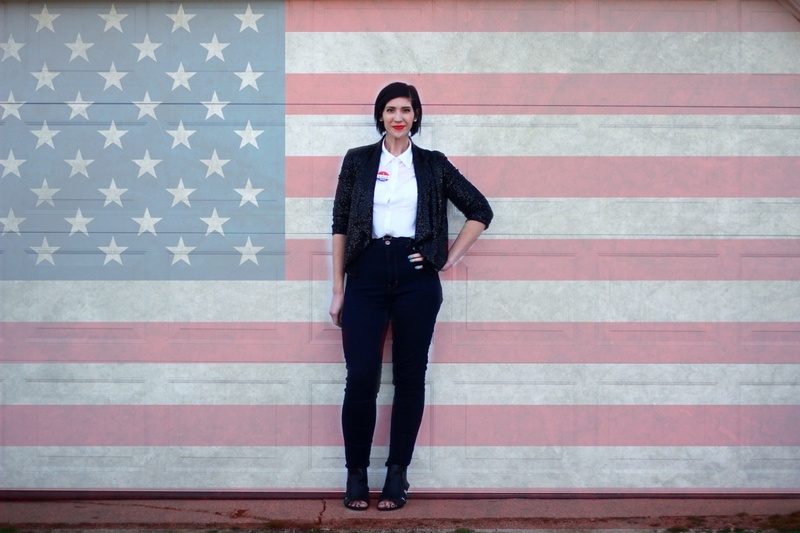 Continue reading"What I Wore To Vote For The First Time"
If you don’t think clothes hold any power then you might be wearing the wrong clothes. 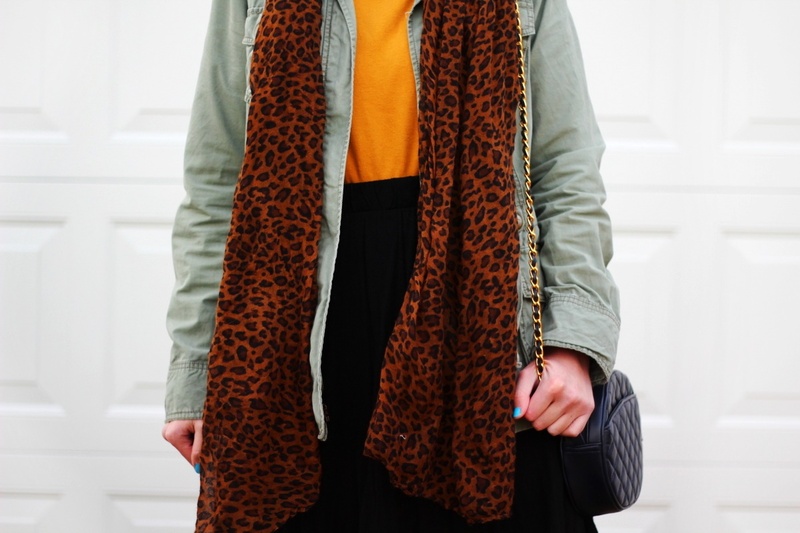 Here’s how a leopard print coat changed my life. 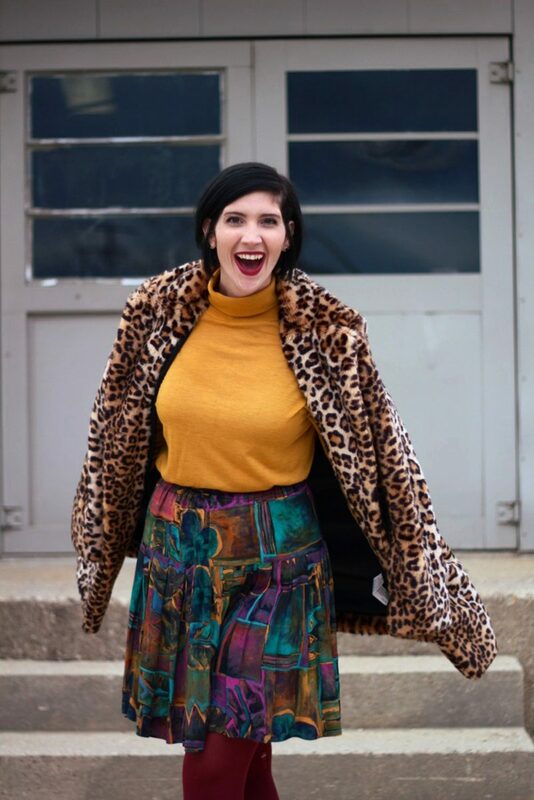 Continue reading"How A Leopard Print Coat Can Change Your Life"
Sink your teeth into this sewing-free, meat-free tutorial. 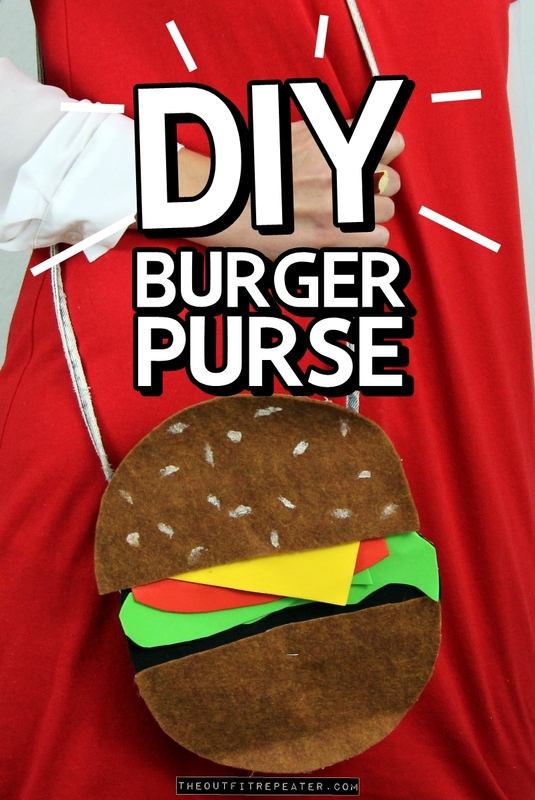 Continue reading"DIY Burger Purse Tutorial (No Sew!)"